The Charlemagne 3-Drawer Nightstand perfectly complements this formal collection with bracket feet and crown moulding surrounding crest and base. 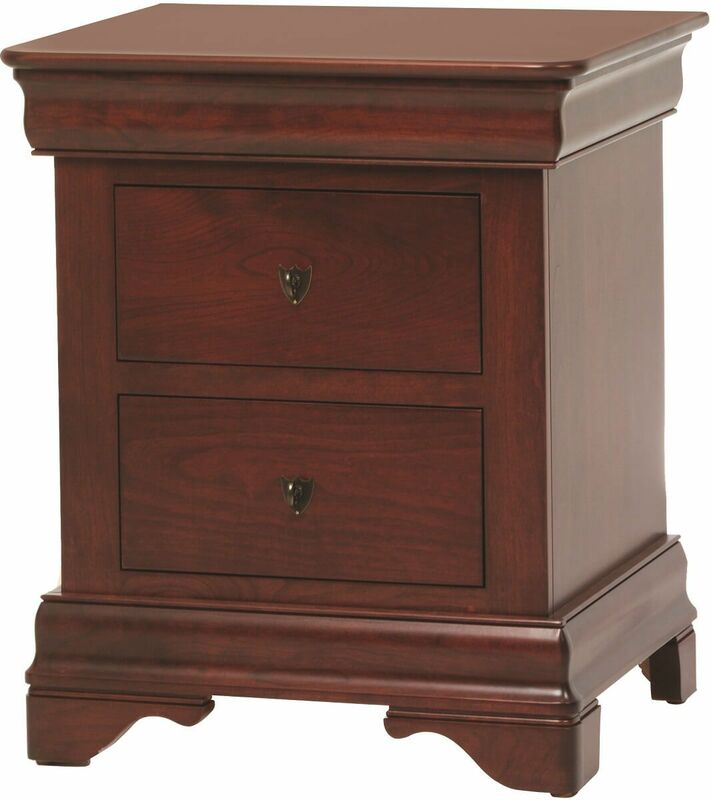 Store bedroom accessories within our Amish handcrafted Charlemagne 3-Drawer Nightstand. 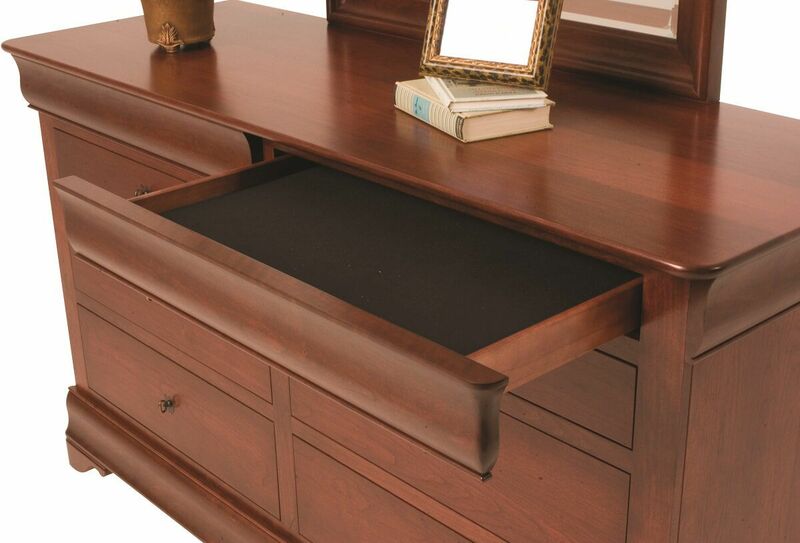 The third, felt-lined hidden drawer of the nightstand serves as a secret compartment for treasured jewelry or other keepsakes while the table top can be used to house a lamp or decor. Allow our Amish builders to craft a piece that will be cherished by your family for generations. 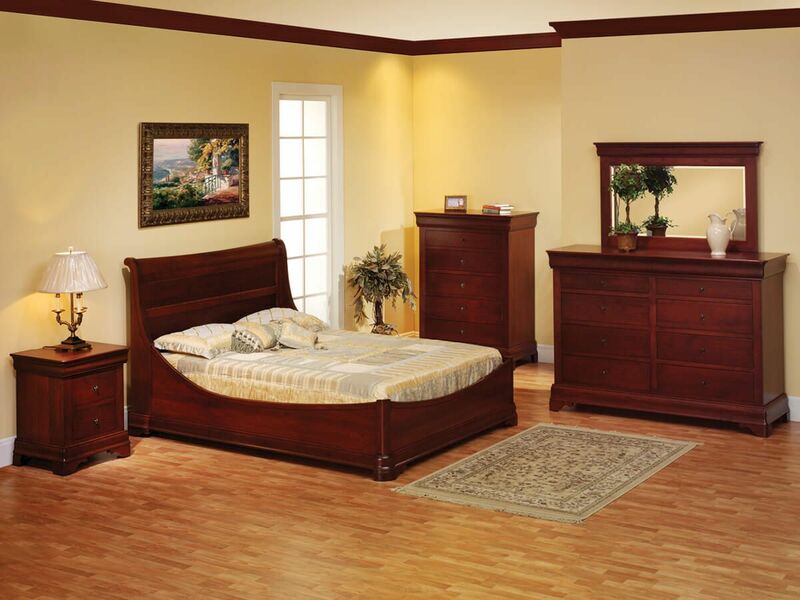 Select a wood species and stain below to begin customizing your nightstand. 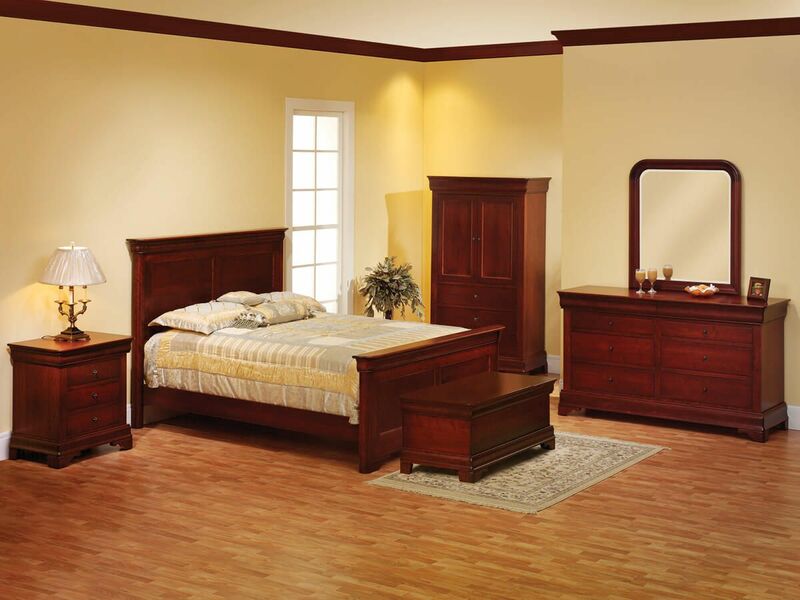 Hardware can also be customized to better complement your bedroom.